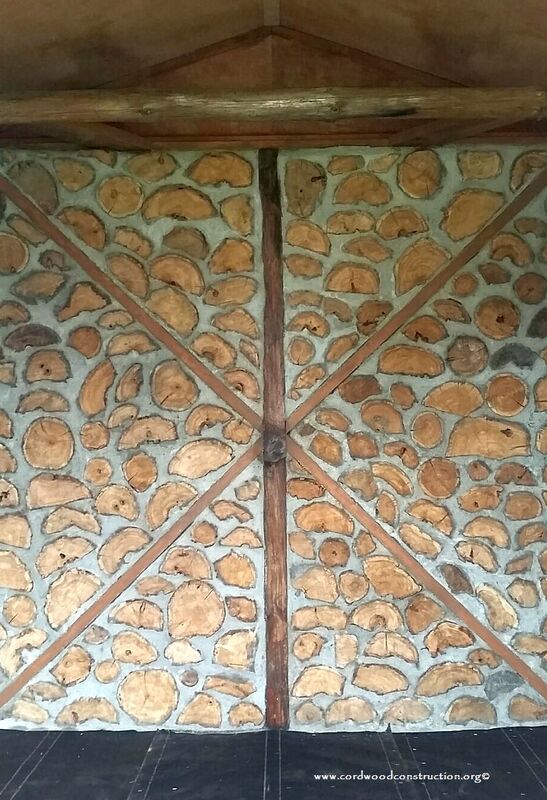 Usually a cordwood cabin’s mortar is prone to cracking if it is moved. 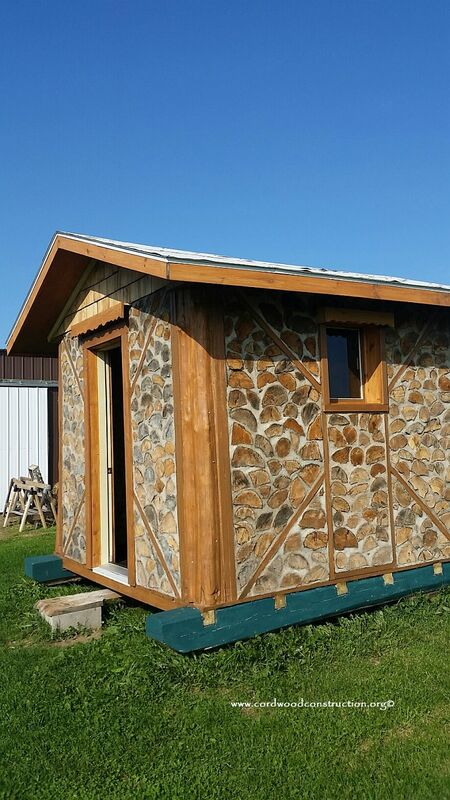 Ernie Burgener has figured out a method of moving a small cordwood cabin (for short distances). He has devised a set of sturdy skids on which he built the frame. 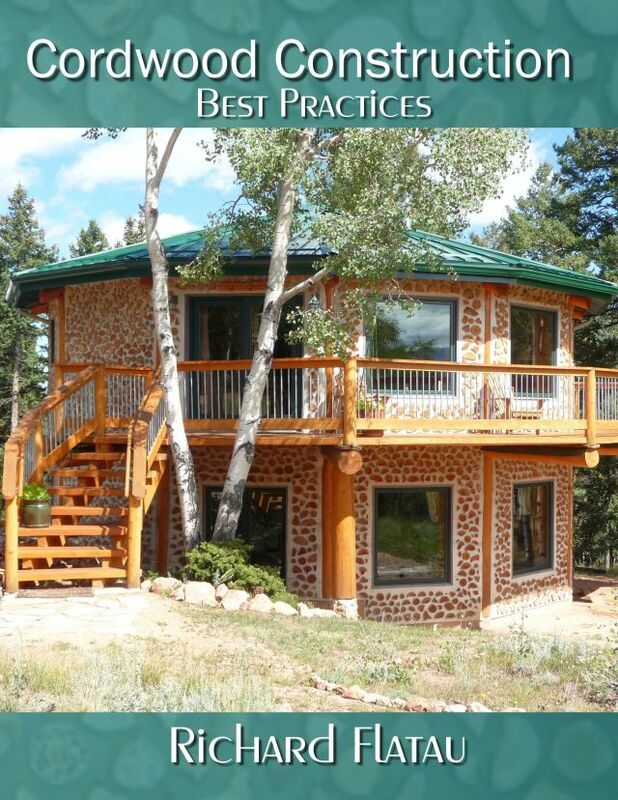 Then he has applied “stay in cross bracing” into the actual walls to stabilize them for an eventual change of scenery. 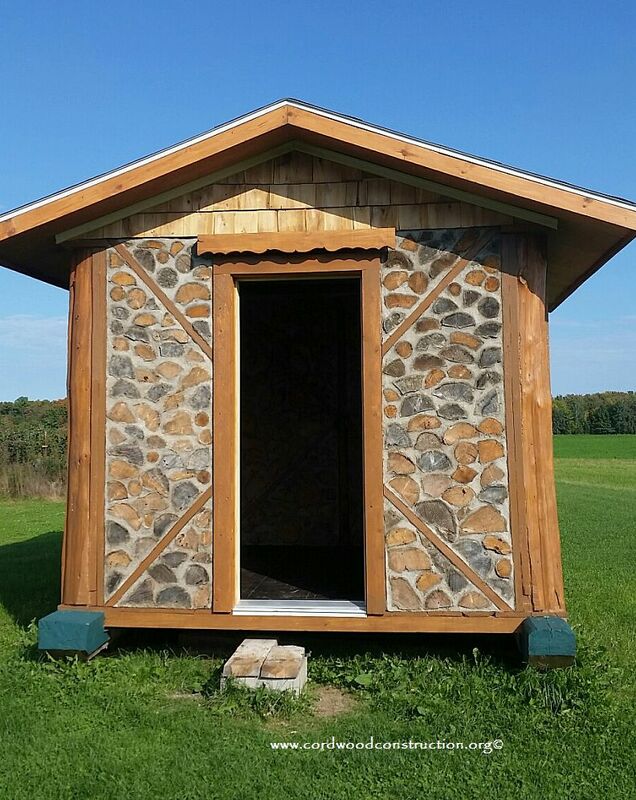 This 10′ x 12′ cordwood cabin has been lovingly built out of cedar this past summer. 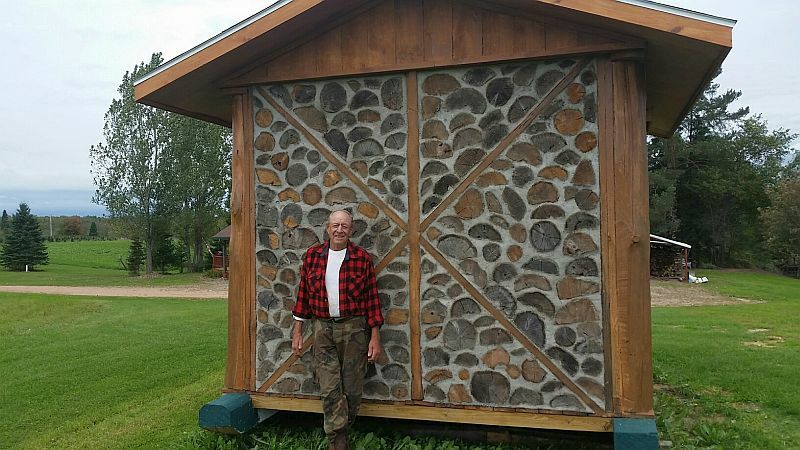 Ernie is a northern Wisconsin horizontal log cabin builder and knows a thing or two about how to make a cabin warm, sturdy and safe. 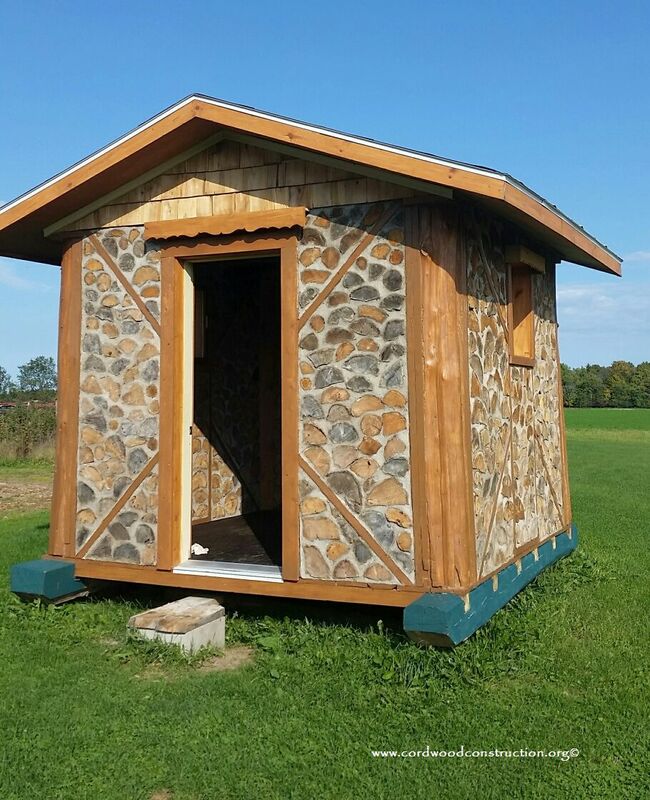 Ernie farms, logs, hunts, fishes, builds and gardens. He is 80 years old and still going strong. 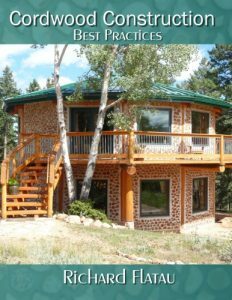 The inside shows how the bracing extends all the way through. The viewer can see from the inside and out that the cabin is well braced. Since it hasn’t been moved yet, we are not sure how it will hold up. 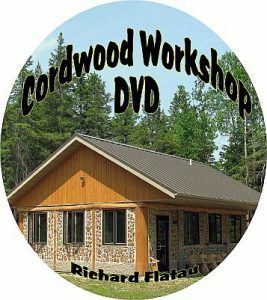 When that happens I will report back to the Cordwood Construction Blog page.